Everything about the Google Nexus 2016 appears nearing completion and the most recent of which is the final product of the gadgets’ versatile working framework – Android 7.0 Nougat. 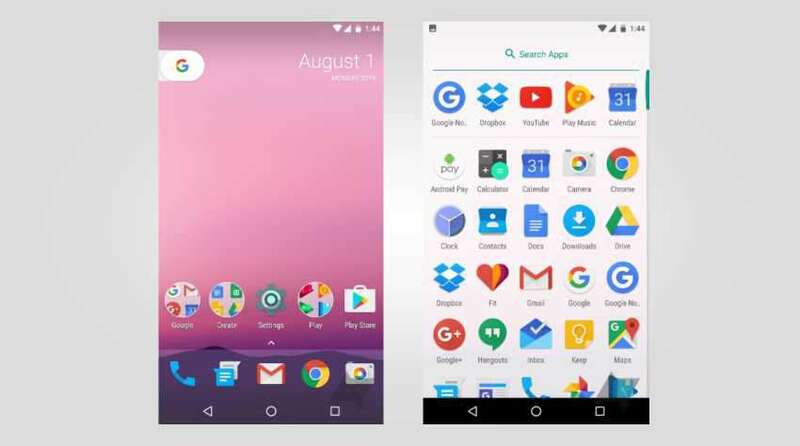 The Nexus launcher of the new OS has been disclosed, which some way or another indicated that the following Nexus release is not far. With the new Nexus devices ready to hit the markets, Google is apparently planning to bring out new Nexus launchers for its next batch of Nexus phones. Though very slight, these changes would be interesting from the users’ point of view; the app drawer, the Now pane, and the Search widget. The app drawer you will notice, would be accessed by just dragging it up from anywhere in the app dock and see your apps and you don’t have to press a button to open the apps drawer anymore. The new drawer has a large restyled search bar up top, but other than that it is not different than the current Now launchers. Also, similar to the iOS, this app dock will have a blurring effect to make apps stand out. Going back to the homescreen, the other two features plan to revamp the Google search pane into just the non-removable calendar widget with a tab on the side with just ‘G’ on it. This tab will prompt you to go through what the Google’s Now pane has in store for its users. Similarly, the G tab can be used to launch a search box. Though the functionality of this tab is still doubtful, Google is in the process of making people more aware of its Now on Tap and Google Assistant which could be merged with the Now pane instead of the larger Search bar, and could make the users rely more on Now on Tap and Assistant. For now, these are the only major features being announced by Nexus Launcher. It’s a fresh take on the current launcher which can be downloaded from Google Play Store by the Android users. Seeing that Android Nougat is expected soon, Nexus phones with these new features are not far enough either.